An enduring love can rise out of the illusions of romance. 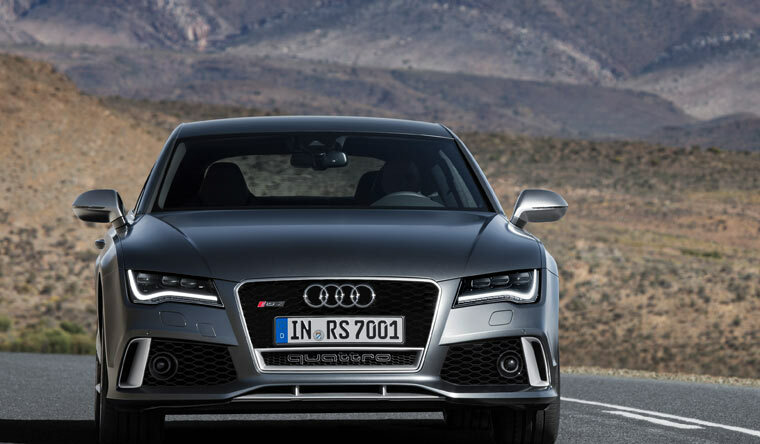 After a fleeting weekend fling with the Audi RS7, Meraj Shah would pop the question in a shot. 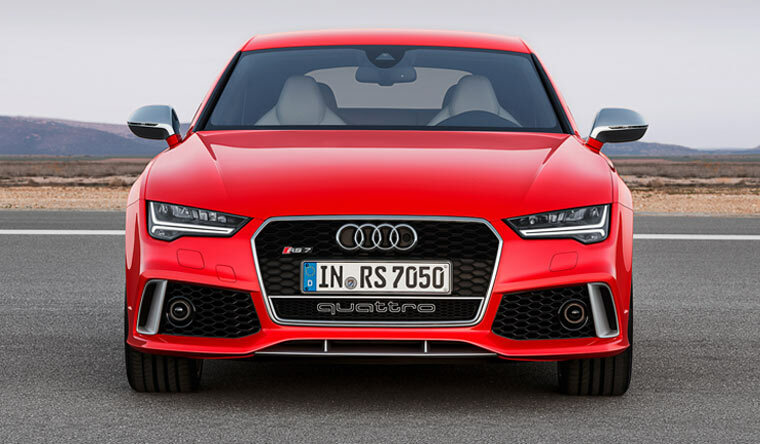 There’s nothing skin-deep about the RS7: not that it doesn’t looks like a million bucks, but it’s the 553 panting horses under the hood—that are easily coaxed (in dynamic mode) to a 100kmph gallop in under four seconds—that wrest your full attention. The deep purr rises to a thrilling crescendo as the revs soar and the most powerful production car in Audi’s line-up shifts through its eight-speed box to pull away to a top whack of 250kmph (with the performance pack this can be upped to a ridiculous 305kmph). It’s difficult to articulate the manic urgency with which this car hurtles forwards and transmits to the driver: you sit up ram-rod straight; the fingers instinctively tighten on the steering; and you dial down the volume on the stereo—The RS7 dictates that you engage with it much like a sports-bike does: with 138bhp for every 1000cc this car is literally in moto-spec bike territory. The all-wheel-drive Quattro does a marvellous job of keeping the car glued to the asphalt aided by its prodigious weight: tipping the scales at a mammoth two tonnes. 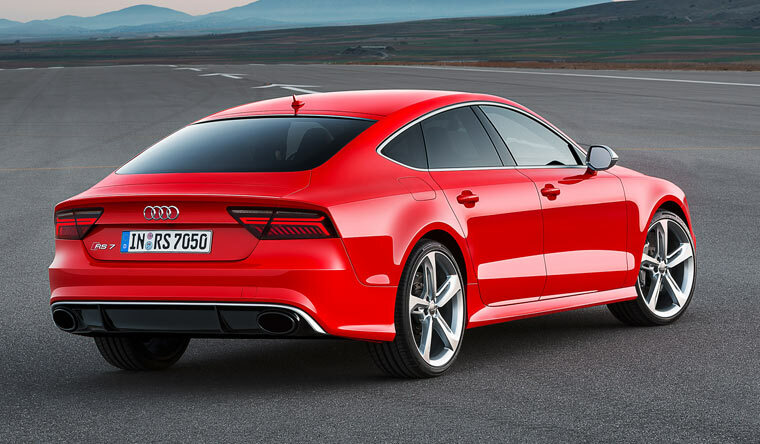 Much like a heavyweight pugilist, the RS7 also has a big heart (4000cc), and is nimble on its feet. At some point you find yourself bemoaning the lack of precise feedback on the steering. That point is usually well north of a 100kmph while gorging on the twisties in a manner that would border on madness, or, as with this writer, on the Buddh International Circuit. A bemused auto hack hears you out and politely demurs: “You’re right, but your points of reference are bonafide sports cars, and that’s unfair in this instance.” Right. You get the point. This isn’t a sports car; it’s supposed to be a performance luxury car and the sports car comparison is, in fact, a testament to just how compelling the RS7’s sporting credentials are. My theory is that this car was created when the engineers at Audi were under the influence of some very speedy amphetamine: who in their right minds would plonk an engine like this into a production car! Its an insane idea, executed with even more insanity, and what they’ve created is certain to induce complete suspension of good sense in anyone who gets behind the wheel. Mate that manic character to the RS7’s bonafide family credentials: four doors and genuinely comfortable rear seats. Heck there’s even a sunroof. The interiors are similar to the A7 save the carbon fibre that replaces the suede; the kit, as expected, is top-notch. The individual settings mean you can keep the suspension in Comfort mode (to iron out the rough spots on the road) but set the engine and steering to Dynamic if you’re planning to throw the car around. The ride, especially for a car like this is phenomenal and affirms the RS7’s luxury character. If you have the means to buy the RS7 then it’s a good idea to think back on your relationships and assess just what levels of commitment you’re comfortable with. This one is not going to bob along on autopilot; tell the girlfriend you’ll speak to her later; think about work once you get there. 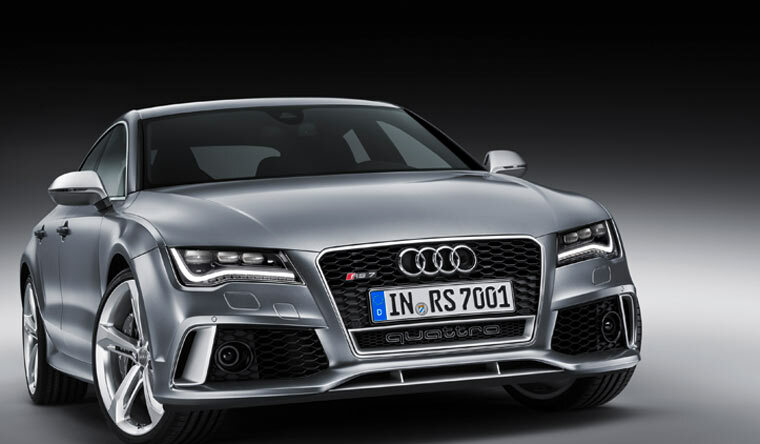 Behind the wheel, the RS7 will not tolerate not being the centre of your universe. But love is not blind; it sees faults as well as virtues and there are things this car can’t do: go cross-country for example; or be frugal (5.6kmpl). But you’ll be too love-struck to care.